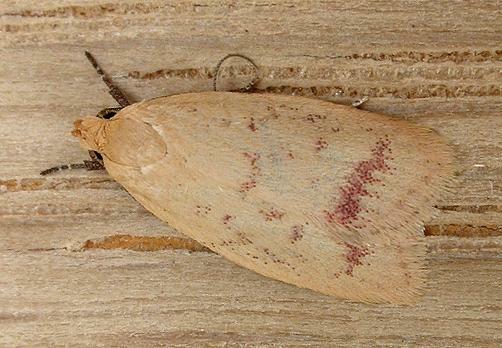 The adult moths have yellow forewings each with an incomplete brown submarginal band and some brown spots. The hindwings are a shiny pale yellow. The wingspan is about 2 cms. Volume 8, Part 4 (1884), p. 507.